The hierarchical org chart is one of the three dominant org chart categories (the other two are flat and matrix types). It is a kind of org chart that mainly shows the subordinated relationship with every single sub-department to the top entity. Normally, hierarchical organizations can be used in public sectors, business enterprises, or some other non-profit organizations. The majority of firms in the world follow a pattern of the hierarchical framework. 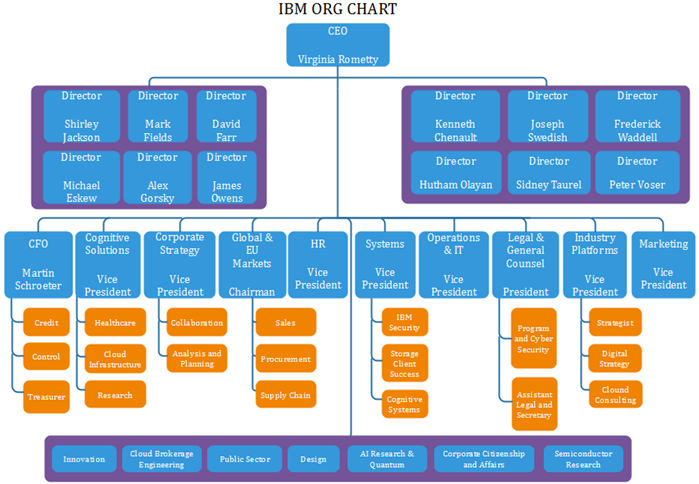 Feel free to check the IBM org chart below for an overall glance of the company. Usually, such hierarchical organizations may have a Board of Directors, many departments with a series of subdivisions, or a separate and independent department for more purposes, like advanced research and development projects. Here shows a template for a marketing department of a business firm. Each of the positions is filled in with the employee’s name, title, and a photo. It is for workmates to better get in touch with others within the department. 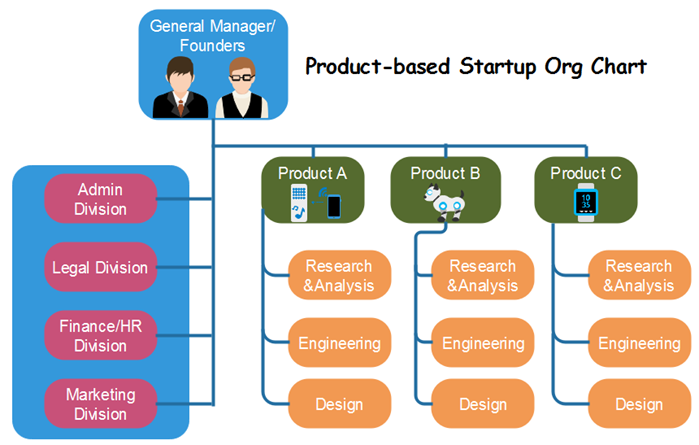 Here comes the organizational framework of an IT startup. You can clearly see the key pattern and functional departments of the team. In this case, each of the sub-division may only include just a few employees. How about Hierarchical Organizations in Horizontal Direction? 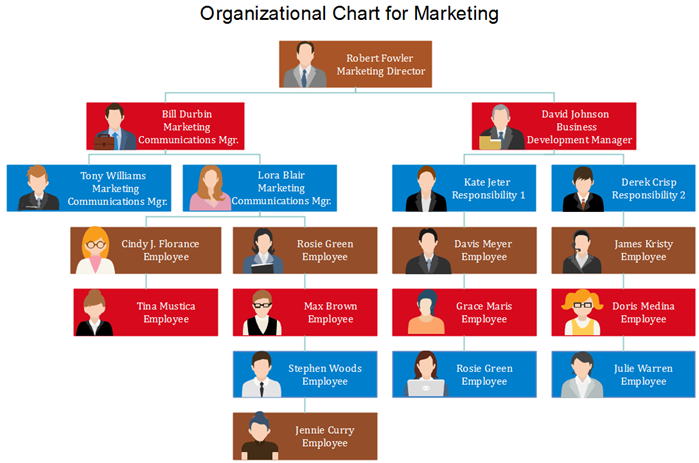 You may be confused about the difference between hierarchical and horizontal org charts. Actually, the horizontal or vertical types are two presentations of the hierarchical category. Usually, we don’t consider the horizontal type as a dominant one, so we put it into the hierarchical section. As the below template shows the Shareholder is the top entity, while a number of managers for different departments are located at the right-hand side of the chart. 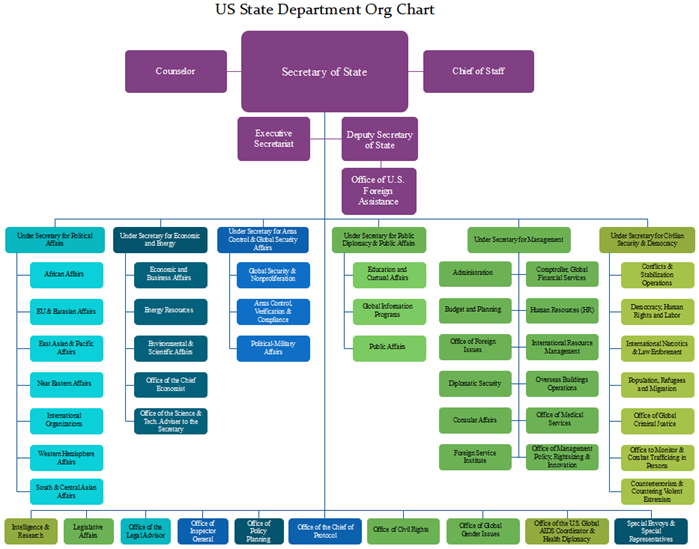 Here is an example of the U.S. State Department org chart. It is the leading federal agency of the American government system. It usually has the similar pattern as large enterprises, but could with more assistant offices for the Top Office. 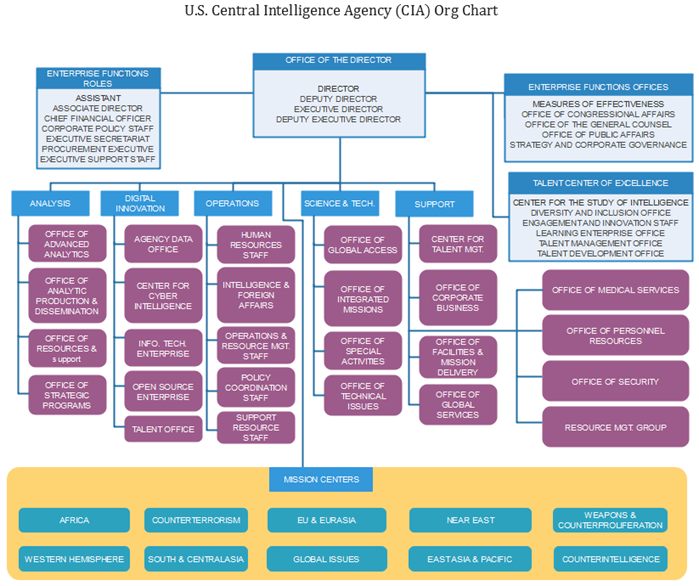 Feel free to check another real-time example of the CIA org chart ads below. Now you can see more supportive functional offices, like the Office of the General Counsel, in the chart. 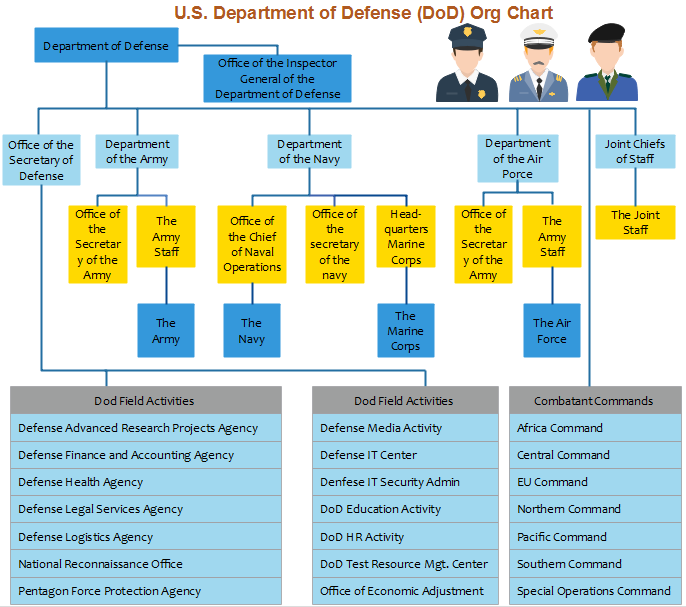 Now we have reached one more example of the U.S. Department of Defense DOD org chart. The Department is one of the most important governmental agencies in the U.S., especially after the 9.11 event. How to Create Hierarchical Organizations Charts? This guide Org chart creator here would offer you much info. 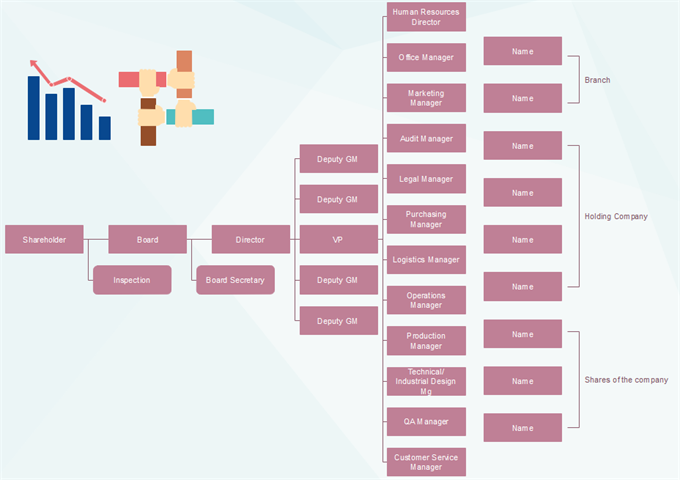 Alternatively, simply go for this easy org chart creator for more advanced settings and management of your business teams.